Did you see the recipe in Elliott's shared list for the warm chocolate cake from Le Bernardin? aw man. i've been wishing for some chocolate all afternoon. this looks wonderful! You certainly deserve this after all your hard work painting... I wish these blogs had fragrance abilities. Wow. That looks awesome -- thanks for the great link. Now....what does "having my own privae dessert chef" mean??? 'Cause I want one of those too LOL! 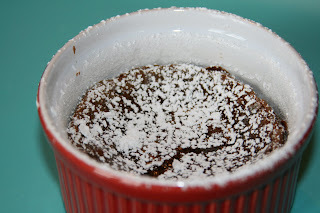 I found your blog through about.com forum; thanks for sharing the recipe my husband loves chocolate and I am always on the lookout for something new. Your blog is very interesting, I had a nice time. yummmmmy! but it looks hard. i don't know if i'm up to it. and to answer your question: while we were on the big island we stayed at the four seasons & on oahu we stayed at turtle bay. i better go get another e.l. fudge because now i'm hungry for chocolate!